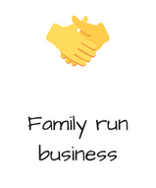 Willersey Provisions is a family owned and run business. 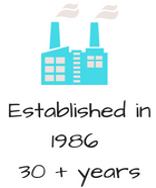 Established in 1986, we have grown from a small start-up, concentrating on the production of sliced bacon, into a mature company with wide product choice and knowledgeable staff. Our ever-expanding product range now includes a large range of pies, cooked meats, sausages and cheese plus much more. At Willersey Provisions, we pride ourselves on our customer service, and we believe we owe a huge part of our success to our reputation. We also believe that your experience as a customer, and our duty as a supplier, does not end when you complete your transaction. If you have any problems with an order, you are not happy with a product, or would like some advice about cooking of a product you have purchased, we will always be more than happy to help in any way we can. 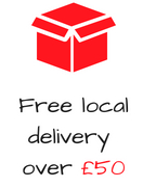 You can reach us on 01386 853089 or info@willerseyprovisions.co.uk. We now have 22 full time staff who are on hand to help in any way they can. We believe that in our industry, it is vitally important to have staff who are knowledgeable and who can draw on their own experiences to advise our customers as best they can. So if you are not sure what you need or would like some advice as to what is available, please do give us a call as we are always happy to advise. 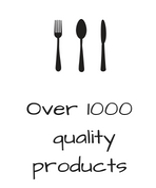 Our product range has grown rapidly and is always increasing. We produce a large range of sliced bacon, sizes ranging from 2.27kg catering packs down to 300g retail packets. Smoked, plain and over very own special Gloucester dry cure. Our large range of whole and sliced cooked meats is extensive, from cooked hams, beef and turkey and a massive range of continental meats and delicacies. We are a main dealer for Cheshire oak and Danish Crown plus many producers. We stock a large range of whole gammon products and slice our own gammon steaks to many different sizes. We stock a large range of pies, pasties, slices and scotch eggs plus cakes and much more. We have a fresh delivery of pies every day to ensure you recieve the maximum shelf life possible. We carry a large range of canned and bottled drinks all available on our website please take a look! We supply a large range or fresh and frozen sausages ranging from catering 4.54kg (10lb) boxes to retail 0.454kg (1lb) packs of fresh sausages. Burgers range from frozen catering boxes to our very own handmade burger. Our large cheese range is sourced from all over the UK. We work alongside many major cheese manufacturers which means not only are we extremely competitively priced but can offer a massive range of cheeses.